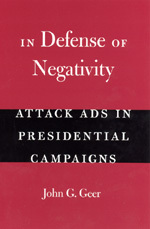 Among a handful of other important decisions handed down by the Supreme Court this week, Monday’s ruling to loosen the restrictions on political advertising campaigns was among the most important according to John G. Geer, Vanderbilt professor of political science and author of the recently published In Defense of Negativity: Attack Ads in Presidential Campaigns. A video of Geer’s response to the court’s decision recently appeared on the Vanderbilt University website. Geer argues that by opening the door for the proliferation of issue ads in political campaigns, the court’s decision will likely result in more negative advertising. Geer, however, argues that negative ads actually help to stimulate the democratic process by providing voters with relevant information they need before they head to the polls. Navigate to the VU website to watch. . . . Better together: the June 21 edition of Nature magazine features a simultaneous review of two new books exploring the unusual and fascinating life that inhabits the earth’s deep oceans. Reviewer Mark Schrope places Tony Koslow’s The Silent Deep: The Discovery, Ecology, and Conservation of the Deep Sea side by side with Claire Nouvian’s fascinating photo-voyage to the deep sea in The Deep: The Extraordinary Creatures of the Abyss to show how these two complimentary volumes offer a profound and unusual look at the inhabitants of one of the darkest and most mysterious environments on earth. Schrope writes: The ‘vampire squid from hell’, the fireworks jellyfishes and the pigbutt worm are just a few of the creatures of the deep sea that have remained unseen by all but a select few. 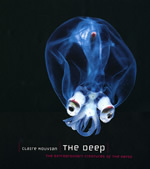 Two new books offer complementary views of this strange expanse and its inhabitants.… No photo collection could replicate a visit to their realm or the breadth of the diversity to be found there, but Claire Nouvian’s The Deep, with more than 200 large-format photos, comes closer than any previous book. The Silent Deep, by deep-sea biologist Tony Koslow, is an excellent companion, with textbook depth on all aspects of deep-sea . . .
Robert Hariman and Louis Lucaites, authors of No Caption Needed: Iconic Photographs, Public Culture, and Liberal Democracy have recently started their own blog at www.nocaptionneeded.com. As a companion resource to their new book, the blog is “dedicated to discussion of the role that photojournalism and other visual practices play in a vital democratic society.” Bringing the author’s ideas to bear on current issues and new media, almost in real-time, we definitely recommend you check it out. In No Caption Needed, Robert Hariman and John Louis Lucaites provide the definitive study of the iconic photograph as a dynamic form of public art. Their critical analyses of nine individual icons explore the photographs themselves and their subsequent circulation through an astonishing array of media, including stamps, posters, billboards, editorial cartoons, TV shows, Web pages, tattoos, and more. As these iconic images are reproduced and refashioned by governments, commercial advertisers, journalists, grassroots advocates, bloggers, and artists, their alterations throw key features of political experience into sharp relief. Iconic images are revealed as models of visual eloquence, signposts for collective memory, means of persuasion across the political spectrum, and a crucial resource for critical reflection. Read an excerpt from the book. . . . 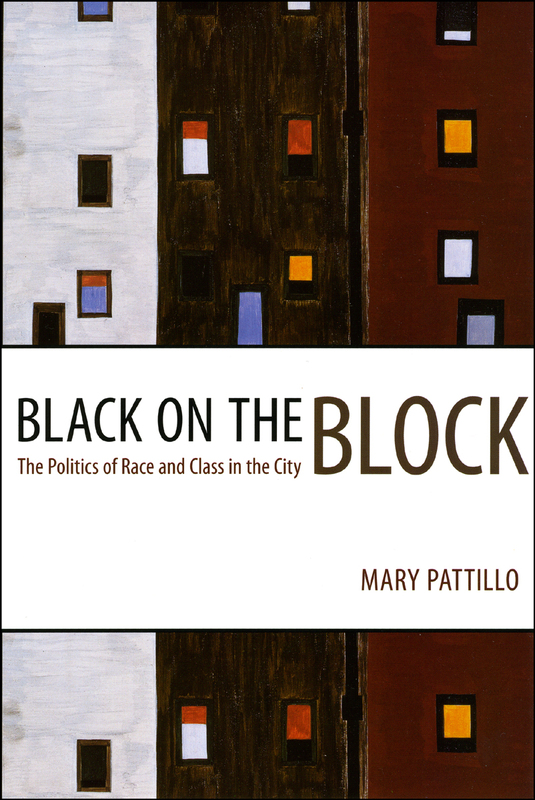 The Chicago Reader recently ran an insightful analysis of Mary Pattillo’s new book, Black on the Block: The Politics of Race and Class in the City. Reviewer Harold Henderson reflects on how Pattillo’s participant-observer study of Chicago’s North Kenwood—Oakland neighborhood reveals a tangled network of competing interests, even within the community itself, that if left unresolved make any predictions as to the future of the neighborhood and its inhabitants uncertain at best. Henderson writes: Mayor Daley’s brave new Chicago doesn’t work for everyone. Eric Klinenberg tried to make this point five years ago with Heat Wave, his examination of who suffered and how during a 1995 natural disaster. Now Northwestern University sociologist Mary Pattillo nails it with Black on the Block: The Politics of Race and Class in the City … She traces North Kenwood—Oakland’s fortunes from late-19th-century prosperity to 1970s poverty and back to relative prosperity, then focuses on the uneasy position of the growing population of middle-class black professionals, who often find themselves acting as brokers between “the Man” downtown and the “littlemen” back in the hood.… After two decades of gentrification the neighborhood has three new schools, less public housing, less crime, and a booming real-estate market. . . .
Pascal Richet’s new book, A Natural History of Time, explores the various ways that human societies have conceptualized the idea of time. 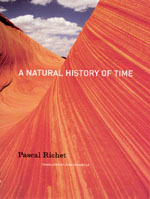 By tracing the various attempts throughout the history of western civilization to pinpoint the age of the earth, Richet’s book tells the story of how human societies have progressively built a chronological scale that has made it possible to reconstruct the history of nature itself. As a recent review in the New York Sun notes, Pascal’s book pays special attention to the rise of the scientific method as the dominant paradigm for the creation of this chronology. Adam Kirsch writes for the New York Sun: How old is the Earth? Mr. Richet sets out to explore humanity’s attempts to answer this most perplexing of questions, which acted as a spur and a baffle to human ingenuity for 2,500 years. Before it could be solved, we needed to invent chemistry and geology, astronomy and physics—to isolate the elements, read the sedimentary record, understand the evolution of species, and chart the movement of the stars.… Not only does A Natural History of Time shed light on key advances in the history of science, from the ancient Greeks to the X-ray, . 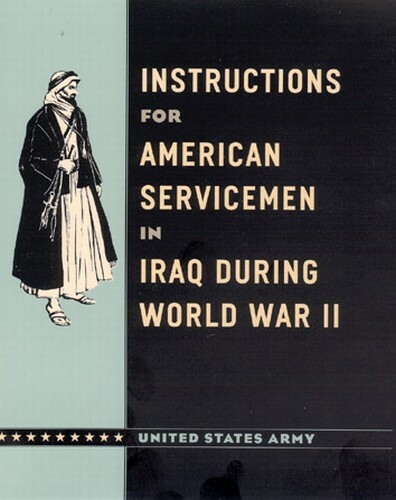 . .
Wall Street Journal reporter Greg Jaffe, writing on his blog Washington Wire, noted our revival of a United States Army guidebook for soldiers stationed in Iraq, and says it “includes lots of homespun wisdom that would have come in handy in 2003.” The book is Instructions for American Servicemen in Iraq during World War II, handed out to soldiers in 1943 and now published with a foreword by Lt. Colonel John A. Nagl. Jaffe notes: Recently, senior Army and Marine Corps officials have had success in al Anbar province in western Iraq by cutting deals with Iraqi tribal leaders and sheikhs to fight Sunni radical groups like al Qaeda in Iraq. If the Pentagon’s top brass, who initially rejected working with tribal leaders, had read the World War II guide it’s possible that idea would have come to them sooner. “The nomads are divided into tribes headed by sheiks,” the guide notes. “These leaders are very powerful and should be shown great consideration.” . . .
Barbara Stafford is at the forefront of a growing movement that calls for the humanities to confront the brain’s material realities. 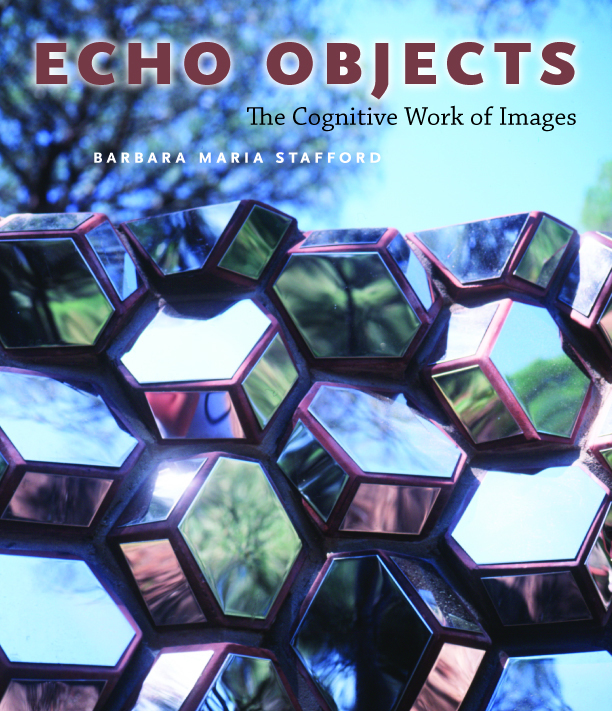 In Echo Objects: The Cognitive Work of Images she argues that humanists should seize upon the exciting neuroscientific discoveries that are illuminating the underpinnings of cultural objects. In turn, she contends, brain scientists could enrich their investigations of mental activity by incorporating phenomenological considerations—particularly the intricate ways that images focus intentional behavior and allow us to feel thought. As precise in her discussions of firing neurons as she is about the coordinating dynamics of image making, Stafford locates these major transdisciplinary issues at the intersection of art, science, philosophy, and technology. Ultimately, she makes an impassioned plea for a common purpose—for the acknowledgment that, at the most basic level, these separate projects belong to a single investigation. Read the press release. . . .
We know that the books we publish inspire scholarship. But it is especially gratifying to see that our books can inspire creativity of a different sort. Poetry instructor Cassie Sparkman recently used photographs from Claire Nouvian’s The Deep: The Extraordinary Creatures of the Abyss to inspire her writing students at an Evanston summer arts camp. And judging by the output of these amazing young writers, inspire them it did! Sparkman posted her students’ work to the Evanston Arts Camp Poetry! blog. See our website for the book if you want to be inspired yourself. . . .
Every day, the media present us with thousands of photographs of world events, accompanying and illuminating the stories of the day. Most of those images are forgotten as soon as the day’s paper is discarded—but a very small number take on a larger life, resonating with the public and influencing opinions, emotions, and actions. These iconic images—a cluster of marines struggling to plant the American flag on Iwo Jima, a naked Vietnamese girl running in terror from a napalm attack, an unarmed man stopping a tank in Tiananmen Square—are seared into our brains, instantly calling up emotional memories of the past century’s major events. But why are these images so transcendent? Out of innumerable photos, why did these particular ones become icons? And what role should such images, and photojournalism itself, play in public life? 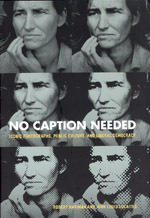 In No Caption Needed: Iconic Photographs, Public Culture, and Liberal Democracy, Robert Hariman and John Louis Lucaites explore the creation, dissemination, and the effects of iconic photographs taking us back to the circumstances in which these photos were taken and setting them in their full historical and cultural contexts. Read the press release. Read an excerpt from the book. . . .
All this week the LA Times will print a running debate between Robert Bruegmann and Gloria Ohland on the topic of urban sprawl and the future of America’s urban landscapes. 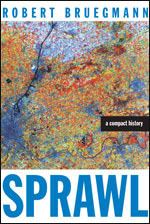 Drawing from his groundbreaking book, Sprawl: A Compact History, Bruegmann overturns many of the common assumptions about America’s rapidly expanding suburbs, arguing for the sometimes overlooked benefits of this popular form of urban development. On the other side of the fence, Gloria Ohland, vice president for communications for Reconnecting America—a non-profit organization that promotes best practices in transit-oriented development—responds with an interesting counter argument for higher-density development centered around public transportation. Check out the LA Times website for the first installment of this fascinating debate. Read an excerpt from Sprawl: a Compact History. . . .